Funeral services for Mrs. Minnie Edelstein Alderman, 77, former Syracuse resident who died yesterday in New York City will be at 11:00 a.m. tomorrow at the Birnbaum Funeral Home. The widow of Lewis Alderman, she had lived with her sister, Mrs. Bessie Rosenberg in New York City the past several years. Mrs. Alderman was born in New York City and had lived in Syracuse, NY, 58 years prior to returning to New York to live with her sister. She was member of the Council of Jewish Woman, Hadassah, and the Mizrachi Zionist Organization. 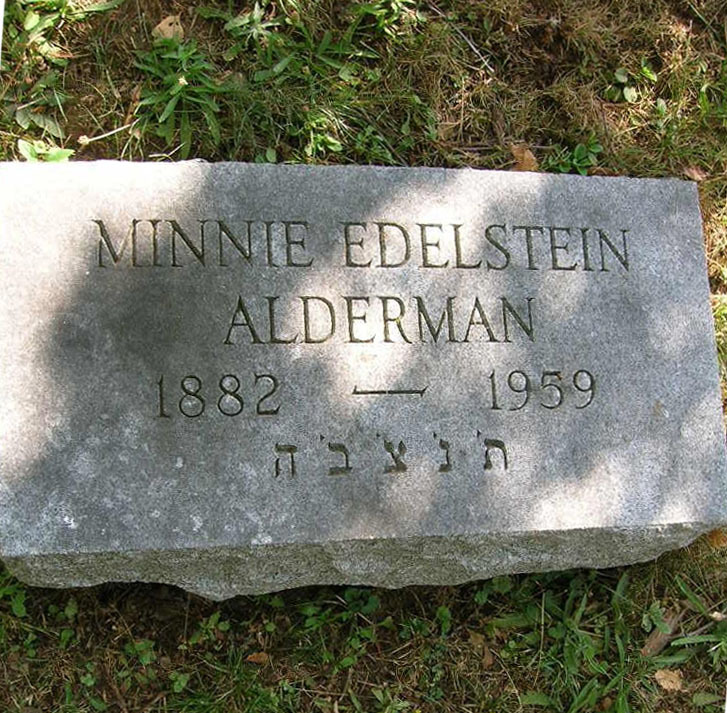 Besides her sister, she is survived by four brothers, Jack Edelstein of Syracuse, Emanuel Edelstein and Abraham Edelstein of Rochester and Asher Edelstein of New York City. Rabbi Beudin Friedman will officiate. 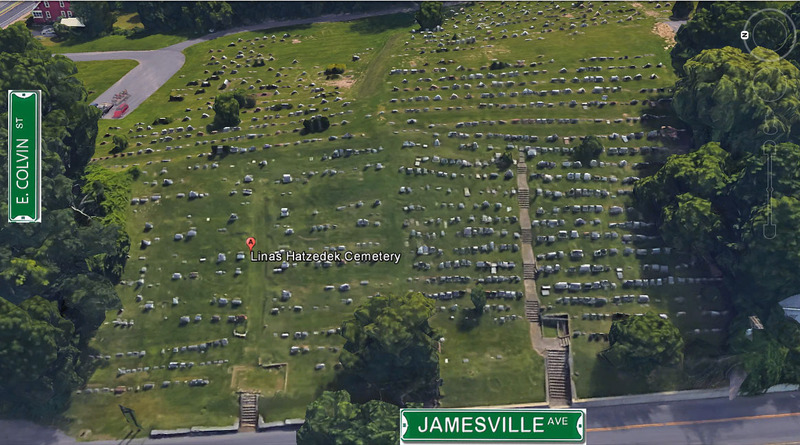 Friends may call from 7-9 p.m. today, burial will be in Tzaedek Ve Emeth. Herald Journal, Wed., Jan. 21, 1959, page 16.